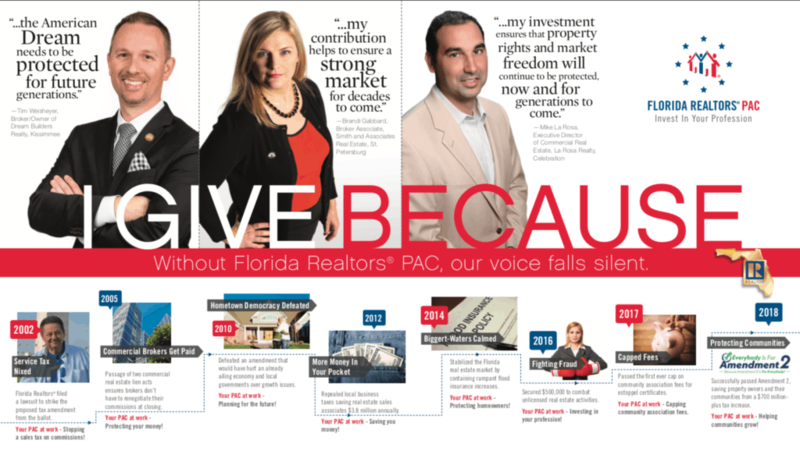 The first quarter has seen a strong start to the year for PAC fundraising in Florida, with $2.5 million already raised, totaling 62.5% of goal. Five local boards have already hit their 2019 fundraising goal. The political activities of the PAC have been so far focused on a few important special election races in the state legislature, as well as dozens of significant local city and county elections that have already taken place. While the legislative session in Tallahassee continues in full swing, the primary focus of the PAC at this point in the year is fundraising. Recently, the Realtors Association of Citrus County held their annual chili cookoff and raised over $15,000. The Central Panhandle Association of Realtors raised more than $11,000 at their annual bowling tournament, and the Tallahassee Board of Realtors raised nearly $10,000 at their Valentine’s Day auction. Be sure to check out the PAC calendar for all the upcoming events.